MILAN, Italy – The Italian bike market grew again in 2007. Domestic consumption rose by 2.4% and this stimulated bike production as well as bicycle imports. Imports of complete bicycles increased by 8.2%. Italian exports rose although the average value of exported bicycles suffered: € 90.19 per bicycle compared to € 100.70 in 2006. According to statistics from ANCMA (National Association for the Bicycle and Motorcycle Industry), the Italian industry produced a total of 2,520,000 bicycles, a substantial increase of 4.2% on the total for 2006. 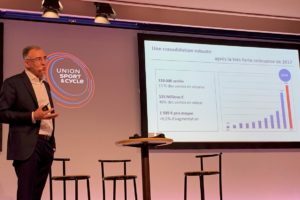 Bicycle exports finally increased after three years of decline: they were up by 9.6% to 1,357,991, while imports of complete bicycles also increased to 827,080 units. No doubt the nice weather helped the bicycle business a lot in 2007: the overall situation in the Italian market was positive but improvement is still needed. The domestic market continued to grow to a very healthy and stable 1,989,089 units sold. When we look at the figures for the last six years (see table), the domestic production of 2,520,000 units is surprisingly positive although the average value of exported bicycles declined heavily. Nevertheless, 2007 was a positive year in general. The main reason is not just the growth in numbers exported: a total of 1,357,991 bikes crossed the Italian border compared to the 2006 total of 1,238,810 units, an increase of 9.6% and a reversal of the negative trend which started in 2005. More worrying for the Italians is the increase of bicycles imported by 8.2% to 827,080 units. Because of strong competition in EU bike markets, the average value of the exported Italian bicycles went down by 10.4% to € 90.19 (2006: € 100.70 and 2005: € 93.48) suggesting that Italian bicycle production is still very lively but a lot of the exports are made up of bikes for children and juveniles. The average value of imported bicycles coming into Italy also went slightly down, by 2.6% to € 94.22 (2006: € 96.76 and 2005: € 84.26). The continued increase in domestic demand was not the main reason for the push in home production. After many years of decline from the peak of the mountain bike boom, Italian industry output went down to 2,400,000 in 2005 but recovered to 2,520,000 in 2007. But this increase is based mainly on exports in 2007, which went up by 9.6% to 1,357,991 bicycles. Domestic consumption continued to recover as well since 2002, after decades of gradual slowdown. 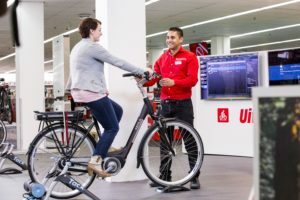 Deliveries of complete bikes to the various distribution channels totalled 1,989,089 units in 2007, an encouraging 2.4% up on the 2006 figure of 1,943,309 bicycles. 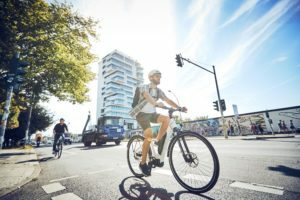 The mountain bike is used mainly for leisure but the big decrease in the figures for the production of this category (630,000 units – down 22%) shows that the Italians are losing touch in the production of this type of bicycles. The 2007 figures show that the share of MTBs in the production of Italian makers came down from 33.5% to 25%. City and Sport bikes (including hybrid, trekking and comfort models) represent only 20% of the Italian production but the amount has increased substantially to 504,000 units in 2007. Road racers, very important for the Italian industry, showed a slight increase in production to 101,000 bikes which represents a stable production share of 4%. Children and youngster bikes are the biggest category with 51% (1,285,000 bikes) up from 44.5%. These latter figures show that the Italian industry can keep up nicely against the Far East production. The negative side of the rise in consumption was the continued increase on imported bicycles. In fact they went up by 8.2% from 764,119 to 820,736 units; which represents the highest import amount ever. The import level of 224,500 units in 2000 seems to be unreachable in the future. 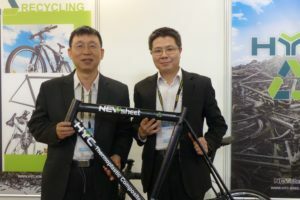 The Italian situation may be proof that the anti-dumping duties on imports of complete bicycles from China and Vietnam should not be abolished. Nevertheless they are still in such a price bracket that importers continue to bring them into the country in great numbers, perhaps bypassing some of the import controls. The average price of imported bicycles decreased slightly. The price went down 2.6% to € 94.22 compared to € 96.76 in 2006. These figures are considered an indication that the anti-dumping measures to protect the Italian bicycle industry seem not to be working. As stated last year it is very important to have a strict control on all unfair practices. This job has to be taken seriously by the various European customs. Italy is one of the few European countries with an extensive bicycle component industry. Although in 2005, the situation turned for the worse, it improved dramatically into positive figures in 2007. The Italian ISTAT statistics bureau shows that the export value of Italian-made components climbed significantly by 15.1% from € 369.22 million to € 425.02 million in the year 2007, and even recorded a good gain of 4% in the quantities exported. But not every thing that glitters is gold. The change in the industry has been very profound, leaving lots of casualties along the way. The manufacturing of large amounts of different components has been reduced basically to the very healthy and high-value product categories of saddles, wheels and Campagnolo products. The famous Italian road-racing frames are still keeping in shape but other components are more or less succumbing to Far-East competition. The voluntary liquidation of the famous Italian company ITM is the latest example of the way the bicycle components industry in Italy is moving. Italian saddle makers recorded an overall 7.8% export increase in 2007 in value to € 72.2 million, but that meant a 3.3% decrease in quantity. Even the anti-dumping duties on saddles did not stop the concentration of Italian saddles into the high value segment. Statistically, there was a big recovery in the export of components from Italy in 2007: by 15.1% in value and of 4% in volume. But these numbers are somewhat misleading since lots of components or parts are made abroad. That is why imports increased also by 15.2% in value and 1.8% in volume. On the other hand, high value products like wheels are doing well. Although they are not specifically separated in the statistics, some of their segments, e.g. rim exports, recorded a fantastic recovery of 39.5% to €10.1 million. A very positive development is the huge export increase in cranksets and chain wheels. The statistics show this segment grew by 119%: from €14.351 to €31.49 million. Cranksets were up by as much as 129%! These latter figures mainly show the outsourcing of some production and the import of some of these components. That is why the import of cranksets was up 246% to €19 million. The records of the export of gears for group sets are similar: plus 49.5% in value to € 16 million and plus 81.8% in units. These figures represent the trend towards high priced products but also the recovery of some of the old market situation (exports totalled € 19.8 million in 2005). In this case the import of gears was also up by 56.3% in value and 12.6% in volume. The export of Italian made forks (minus 29%) and lights (minus 53%) continue to decrease and will eventually reach insignificant values. These are examples of how the Italian production is collapsing. Rightly the Italians call to keep the protection measures, but it remains to be seen whether these could help the ailing parts of the industry. Italian helmets have a good reputation all over the world. From 2004 on, it was no longer economically feasible to produce helmets in Italy in the low-price segment. In fact the Italian suppliers making budget products closed their doors in 2005. 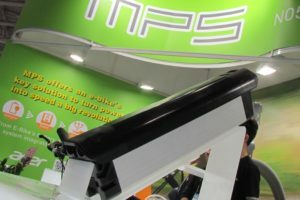 The remaining Italian suppliers concentrate on products for the mid- and high-end market segment. “The general market situation was positive in 2007 for us. The total sales increased just a bit and only the sales mix was a bit different,” explained Gianluca Solani, ANCMA’s helmet expert. The total deliveries of Italian helmets increased slightly in 2007 to 2.96 million units from 2.95 million units; 0.8% up on the 2006 total. Exports to the European market increased by 0.7% to 1.47 million. But exports to the market outside Europe, although still low, was the main driving force with an increase of 10.2% to 0.36 million units. The Italian home market shrank a little: a decrease of 1.6% to a total of 1.15 million units. With home consumption of bicycles up 2.4% in 2007, the Italian industry association ANCMA is not satisfied. “It is difficult to convince our leaders about the importance of the bicycle for the future of the country” complained Pietro Nigrelli ANCMA´s responsible for the bicycle sector. “Nevertheless we shall continue working hard” said Nigrelli.